Bulb Boy! De Mambo! Death Squared! Cursed Castilla! Switch discount! More! It's another week of Nintendo Download goodies, and this week brings us some highly-rated games across the Switch and 3DS eShop, in particular. There are a number of options including a retail demo, and of course the usual batch of discounts. Get the info below. 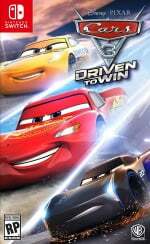 Cars 3: Driven to Win (WB Games, €59.99 / £49.99) - This movie tie-in features a variety of racing styles and modes to tackled either solo or in local multiplayer; although it's lacking in a few respects it's not a bad effort, as we explained in our Cars 3: Driven to Win review. Available from 14th July. 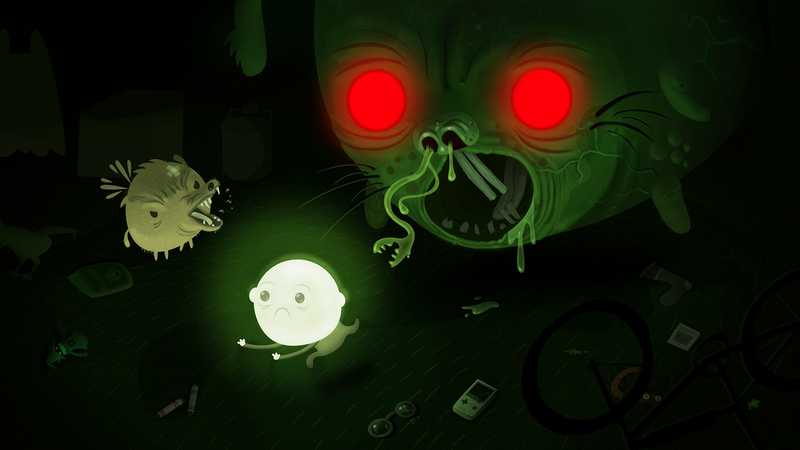 Bulb Boy (Bulbware, €7.99 / £7.19) - A rather quirky and peculiar point and click adventure from Bulbware, this adopts a unique art style and humour to grab a player's attention. We enjoyed playing through this and gave it a recommendation in our Bulb Boy review. De Mambo (The Dangerous Kitchen, €10.99 / £9.99) - A smart and colourful game that's both chaotic and accessible; you can fight friends in Smash Bros.-style conflicts, take on co-op challenges or embark upon a solo quest. We rated this very highly in our De Mambo review. Death Squared (SMG Studios, €12.50 / £11.99) - A puzzle title that's proven popular on platforms such as PC, it's best enjoyed as a co-op game where you work through tricky challenge rooms. It's also perfectly suitable for solo play, and we enjoyed it a lot in our Death Squared review. 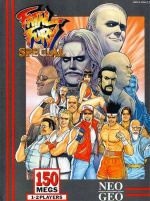 Fatal Fury Special (HAMSTER, €6.99 / £6.29) - You may have noticed that the Neo Geo had a lot of fighting games, and thankfully some of them are pretty darn good. Taking a page from Street Fighter’s book, this one is a faster remix of Fatal Fury 2 — which also got an ACA release — and adds a few new characters and a combo system. 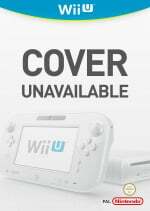 We'll take a fresh look, but in the meantime you could always check out our Wii Virtual Console review. 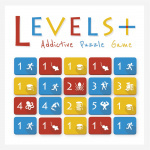 Levels+: Addictive Puzzle Game (flow, €4.99 / £4.99) - We're occasionally suspicious of games that try to tell you their main hook with a description in the title, but we're hoping for the best. This is a puzzle title where you slide and match panels, with mechanics linked to colours in order to mix up the gameplay. We'll see whether it's a good match for Switch in a review. 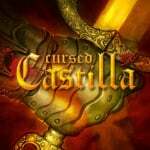 Cursed Castilla EX (Abylight, €11.99 / £11.79) - Originally developed solo by Spanish coder Juan Antonio Becerra, this 3DS conversion does a terrific job of bringing the Ghosts 'n Goblins-esque action game to Nintendo's portable. It's deliciously challenging, beautifully designed and utilises the 3D effect brilliantly; that's what we think in our Cursed Castilla review, anyway. Asdivine Cross (KEMCO, €9.99 / £8.99) - This publisher has brought us plenty of RPG titles, and some may have played the rather decent Asdivine Hearts on the Wii U; this portable release revolves around a duo seeking to escape dungeons and save the world. Another normal Saturday night in KEMCO land. Miitopia Casting Call Demo (Nintendo, free) - Get ready to be the star of the show! In this free demo available now, pick some pre-made Mii characters or create your own. Assign each character a role and then cast them in one of three different in-game video trailers for upcoming RPG Miitopia game. Cars 3: Driven to Win (WB Games, €49.99 / £39.99) - Likely very similar to the Switch game, albeit slightly scaled back in some multiplayer options. Available from 14th July. BOX UP (RCMADIAX, $1.49USD) - In this title you try to guide a box up a screen (avoiding obstacles) in randomly generated levels. 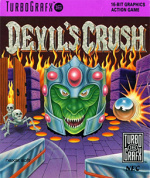 Devil's Crush (D4 Enterprise, €5.99 / £5.39) - A TurboGrafx-16 title to add to your collection, this time a spookily-themed pinball game that achieves its goals rather well; we had fun with it on the Wii Virtual Console. There are plenty of choices in this week's update - let us know what you'll be downloading in the poll and comments below. I bought Bulboy last week but I've yet to play it,hopefully this weekend.Going to finish Wonderboy first before I start it. Any Shantae fans out there who've never played Wonderboy: The Dragon Trap before, I can't recommend it enough. Much better game than 1/2 Genie Hero and probably Pirates Curse too. Stop promoting CIRCLE as discounts. If all you are going to do it copy pasta then what's the point? I got Puyo Puyo Tetris off the US Eshop for $30 which is cheaper than that discounted price. It's still worth it though at that price,great game .Going by the NA and EU download charts, Snake Pass has obviously had a lot of success since its discount. Hopefully Puyo Puyo Tetris will too so there's more players online. The Puyo Puyo disc for PS4 is much cheaper in most places. @lemonjellydude They're releasing exclusive splatoon 2 gear in Japan. I'm guessing that will come to west soon. We'll have to wait a while before nintendo discounts anything..
Might get Cursed Castilla EX at some point, still got a big back log of games to finish. Nothing for me. Having finally done with BOTW will catch up on my reading until some decent VC or discounts come along. I loved Asdvine Hearts, why is Asdivine Cross not on Wii U or Switch? I would like to get all three of the new eShop titles but I cant afford it right now. Might just pick up one. Puyo Puyo discount isn't live yet. You sure it's right guys. I wonder if anyone's going to address Bulb Boy's menu icon as I heard it had similar problems compared to Snake Pass' new one? I'm glad the Switch eshop is now getting regular discounts so soon. It seemed to work for Snake Pass and Puyo Puyo Tetris is a great game. @antster1983 It's available, though — I already bought it. I want Puyo Puyo Tetris but it still feels a bit too expensive. @DavidH I think maybe the Puyo Puyo Tetris discount might start tomorrow, running Friday to Friday? @Moshugan I'm in the same place as you. These are old games I have on other devices, but somehow this mashup is tempting. Just not quite at that price. @Moshugan There's a LOT in it. A lot of consideration and variety went into it. If you like this sort of thing - that discounted price is really worth it. Music is great - takes me back to late 90s Sega. I'd love to pick up both Death Squared and Bulb Boy but I can only afford Splatoon 2 for a while. Sad but I'll at least add them to my wish list. Fatal Fury Special is a keeper even if you bought FF2.